Symantec plans to begin accepting applications for the 2011 Fellowship in July 2010. The application deadline is December 18, 2010. Award decisions will be made in February 2011. In Europe, a stipend is provided to cover research and living expenses while in school. Mentors from Symantec Research Labs are paired with award recipients. The mentor is a top researcher who can provide ongoing technical guidance on the recipient’s research, during their graduate training as well as during summer internships at Symantec. All recipients will be encouraged to take a salaried summer internship with Symantec Research Labs (Mountain View, CA, Culver City, CA, or Sophia Antipolis, France). Each recipient will be given a laptop preloaded with Symantec software. Fellowships are awarded to recipients for one academic year and may be extended for a second year, based on the award recipient’s continued exceptional academic standing, progress and achievement. 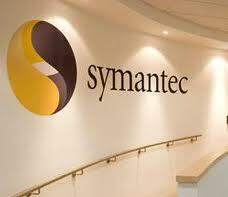 Any such extensions will be granted solely at Symantec’s discretion. A completed fellowship application form including a personal statement of research interests not to exceed 500 words. Applicants are strongly encouraged to articulate the practical value to customers of their proposed research areas. A C.V. and thesis proposal (optional). Three letters of recommendation from professors or industry researchers who can evaluate the applicant’s scientific aptitude and potential for research (may be sent confidentially, please see application form for instructions). Incomplete applications cannot be considered and we cannot guarantee notification of incompleteness. Please make sure applications are complete. Fellowship applications will be accepted beginning July 2010. Application deadline will be December 18, 2010. The final award decisions will be announced in February 2011. Demikianlah informasi mengenai The Symantec Research Labs Graduate Fellowship, USA semoga berguna bagi anda. amazing article. thanks. I will follow your blog.